Karen joined Aston in 2004 from the London School of Economics where she had been a research associate and ESRC-funded postdoctoral research fellow. Karen’s research interests are in critical policy analysis, drawing in particular on post-structuralist discourse theory, ontological politics and French pragmatism. With colleagues from Sweden and Turkey, she recently led a panel at the 8th Interpretive Policy Analysis conference on the intersection of ethnography and post-structuralism. She is interested in the form and durability of ideologies in use in policy and their effects on the subjects of public policies and, to that end, has become increasingly interested in psycho-social research approaches and methods. Karen’s substantive research focus is on health, social care and the policy and politics of ageing. 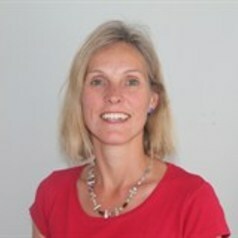 She is currently involved in two ageing-related research projects: one which examines life in retirement communities, funded by the ExtraCare Charitable Trust; and the other which examines the extension of working life in a context of recession and austerity, funded by the European Commission. She has also held visiting positions at the University of Umeå’s Ageing and Living Conditions Centre. Karen has taught across all levels – under-graduate, post-graduate, and continuing professional development – and has supervised a number of PhD theses to successful completion. She was previously director of the PhD programme in the School of Languages and Social Sciences and is currently director of undergraduate programmes in Sociology and Policy.